The Gannet anti-submarine aircraft prototype first flew on 19 September, 1949. 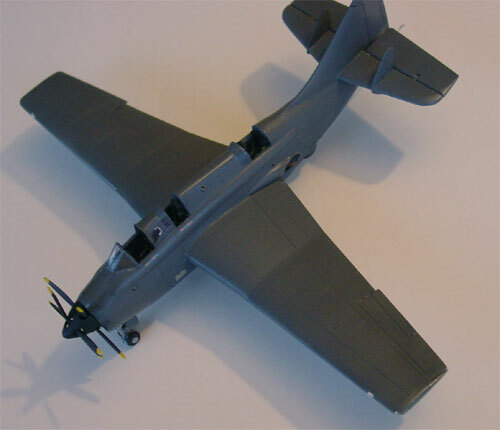 There were several versions developed such as ASW and AEW versions. The AS type entered production in 1953 and initial deliveries were made of the AS.1 variant at RNAS Ford in April 1954. A trainer variant (T.2) first flew in August 1954. The RN's first operational Gannet squadron (826) was embarked on HMS Eagle. Armstrong Siddeley engine known as the Double or "Twin" Mamba driving two counter-rotating propellers through a common gearbox. The ASMD.1 engines (2,950hp) were used in the AS.1, ASMD.3 engines (3,145hp) inn the AS.4, and ASMD.4 (3,875hp) in the AEW.3 variant. The total built is reported to be 441. 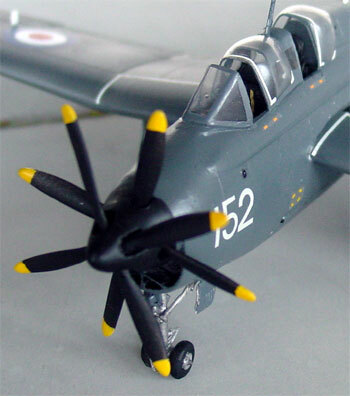 The Gannet was also operated by the Royal Australian Navy and West-German Marine Flieger. This Novo kit #F228 originated from Frog and was copied. The kit is for a mk1 or mk 4. 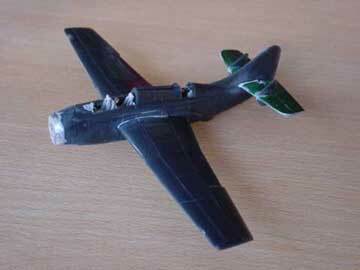 It comes with no wheel wheels, no cockpit but solid pilot figures and seats and very rough panels. 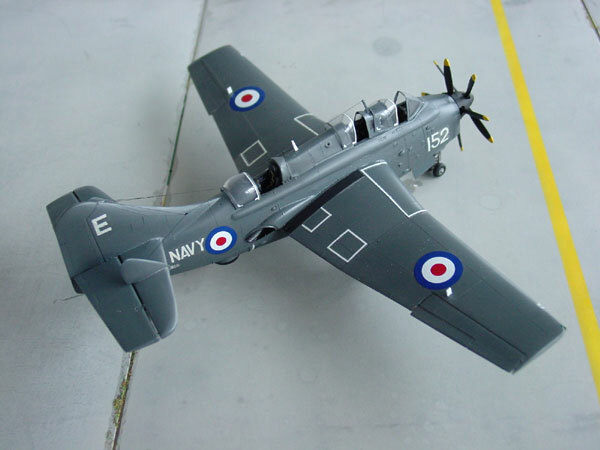 It can be made however with some work into a nice model in 1/72 scale. 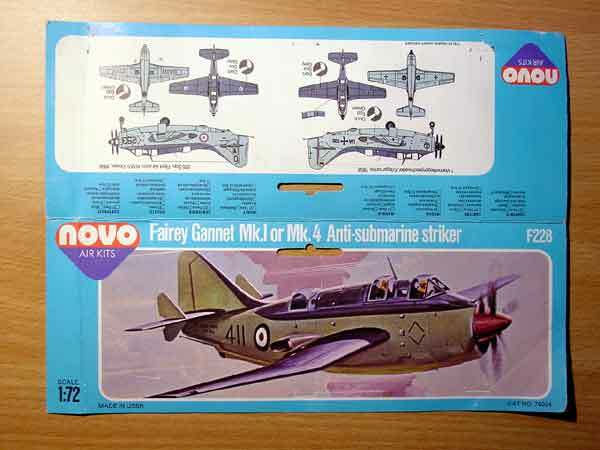 NOTE: Revell has released a much better Gannet kit. Better use that one! 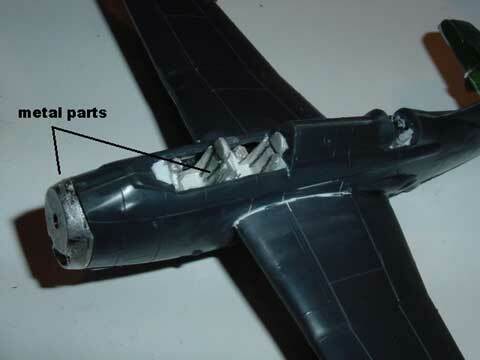 Again, the cockpit glasses are very thick and replaced by the Aeroclub canopies from their cast metal set with detail parts as the gear, interior (seats and instrument panels), a good prop and the nose intake. below the Aeroclub parts can be seen. The kit decals are also seen above. 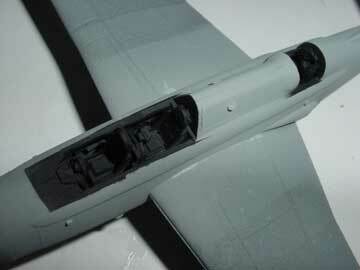 Filler is needed in certain areas during assembly such as the wing-fuselage joint and tail area. 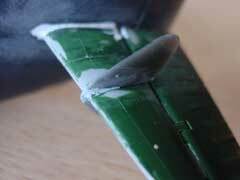 Assure that the wing dihedral is set to the correct angle. I replaced the horizontal stabilizer with a piece from the spare box to get a separate elevator and thinner leading and trailing edges. 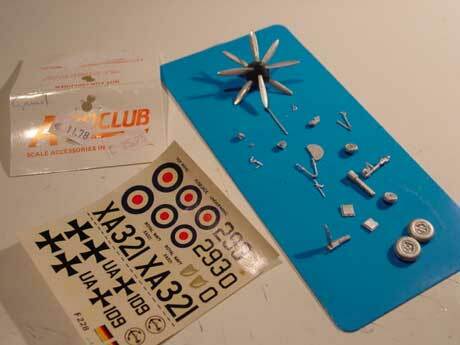 After that, some parts in the cockpit area were installed as provided by Aeroclub. 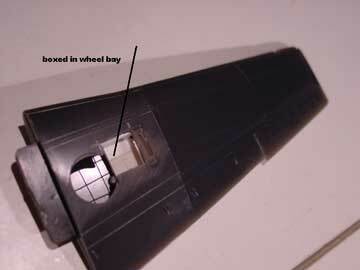 The main wheel wells were opened up as the kit has no wheel wells at all. 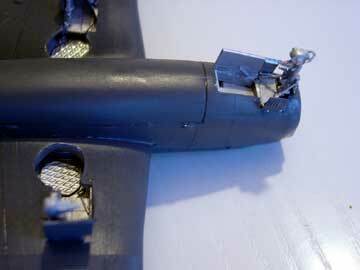 Some detail was added with card and the metal Aeroclub parts installed. After major assembly, the main panel lines were engraved by hand and the model sanded smooth. 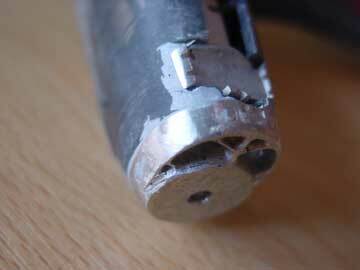 A light grey coat was sprayed on to do some final checking and any flaws were repaired with putty as needed. 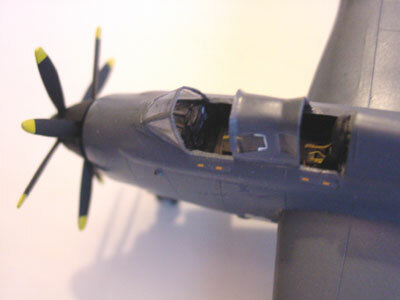 The cockpit area and its parts were sprayed "coal black". 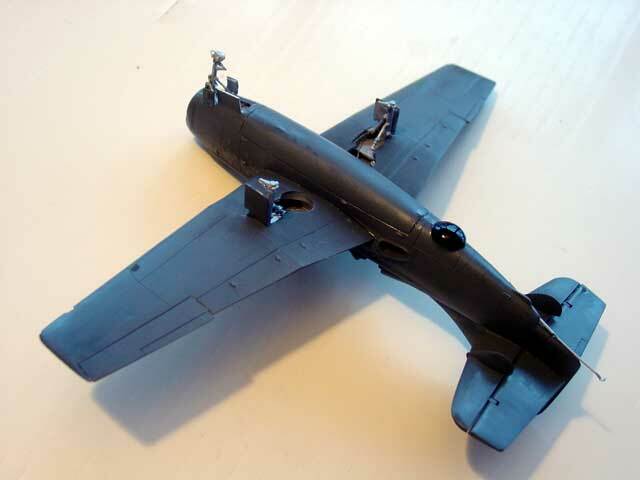 ... after light grey coats to check any flaws and subsequent correction, the Gannet kit got an overall Extra Dark Sea Grey coat. 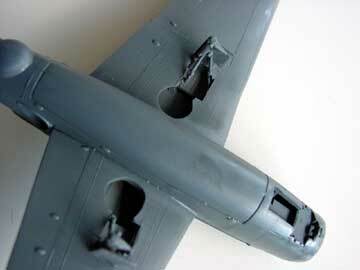 Details of the undercarriage and wheel bays can be seen here. The basic model is seen here. Note that the wing anti-collision lights have been added. Cut out, add some clear plastic; fill with Micro Kristal Klear and paint with transparant Tamiya paint (red and green). After getting several coar of gloss Johnson Future , it was ready for decalling. 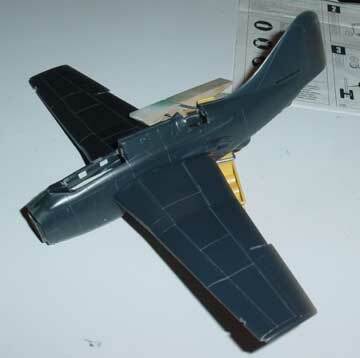 I had no special decals for this Gannet variant with an overall grey finish. 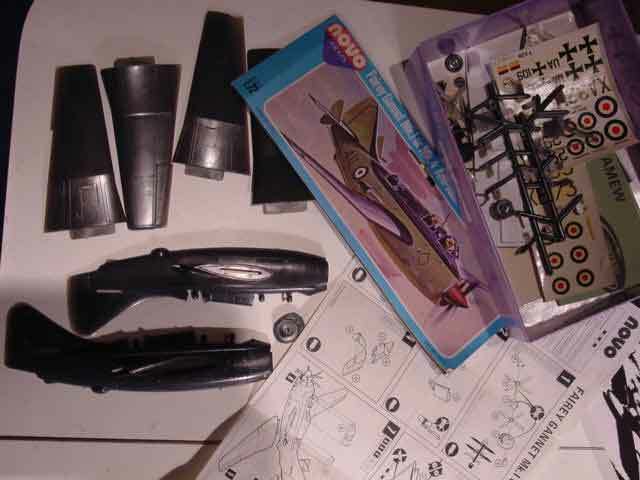 Decals were searched together from the spare decal box, kit decals and some Xtradecal sets. 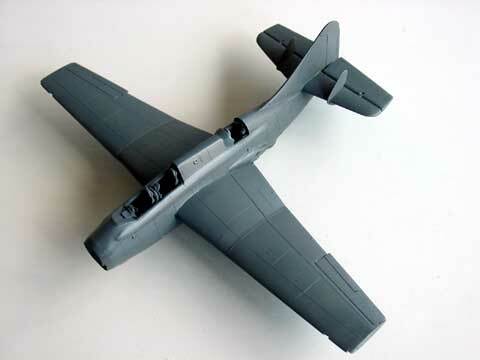 The model is for a simple scheme of a Gannet AS (or also used as COD 4). The white walkways were made from white decal strips from Xtradecal. I used Xtradecal D-type roundels but was it was difficult to get them to set on the surfaces. After clean up, the model got again a gloss coat of sprayed on Johnson Future to protect the decals and get a smooth end finish. Gloss finishes are typical of FAA aircraft. 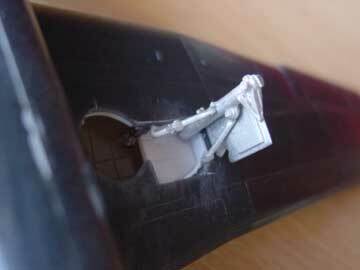 The antenna wires were finally added from thin stretched sprue with superglue and painted with thin black paint. 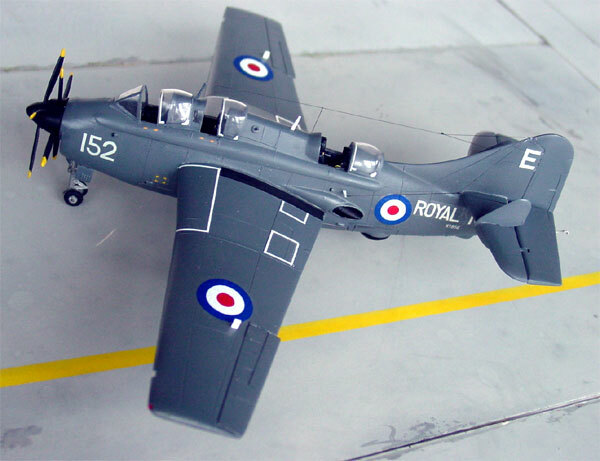 This gives a nice touch to the model of the Gannet. The final step was to add the prepared vacuform Aeroclub canopies. They have white detail markings and some white decal was again used here. The impressive counter rotating props. 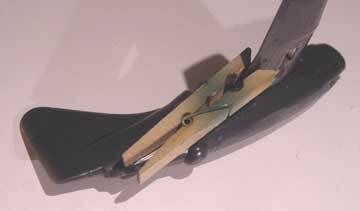 A nice FAA Gannet in the collection, with some work even building a very old FROG (NOVO) kit it can be done.